DREAMS AND ECHOES AT DIMBOLA. 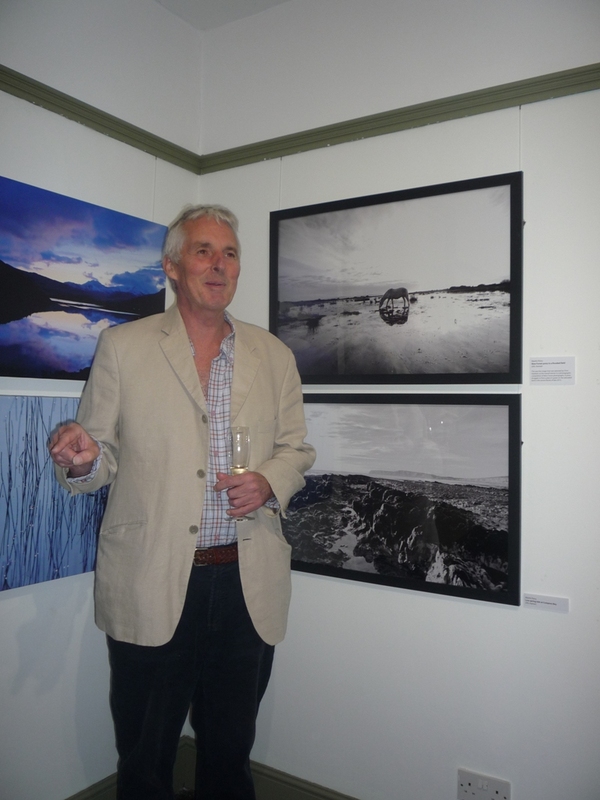 Two new photographic exhibitions have opened at Dimbola Museum & Galleries, Freshwater Bay. 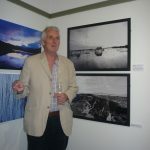 ‘Echoes’ is a solo show featuring the work of Martin Perry, who lives near Dimbola, and is a collection of atmospheric photographs of landscapes and waterscapes exploring the spectacular beauty of the British Isles. They are described as sometimes gentle, sometimes intense with the light meeting water. With a mother hailing from Wales and a daughter attending Bangor University it is no wonder that some Welsh scenes are included in his roster. Martin said that his love of photography was ignited forty years ago. Among his memories are Live Aid and covering the IW Festival for Quay Arts ‘Kashmir Cafe’ where he captured the special atmosphere of the artists performing. He began his photographic life as a freelance photographer but when family duties called photography became a hobby. With his children grown up he went back to photography now in its digital form, but eschews the use of digital enhancements. Martin is particularly proud of his portrait of a New Forest Pony in a flooded field taken in 2013. It won him a photographic competition judged by Chris Packham and is included in ‘Echoes’. This exhibition is housed in the Charles Hay Cameron Gallery. Charles was Julia Margaret Cameron’s husband and the gallery was probably originally his bedroom. Their artistic exploration maps the contours of their dreams and imaginations much like a cartographer outlining the shorelines and mountains of a new continent. Maxine Watts from the West Midlands is a member of Dimbola and together with Rachel Tait from Dimbola, is responsible for mounting the exhibition, which can be viewed in the main gallery. Each year Maxine co-ordinates the Reclaim Photography Festival in the West Midlands. This year the festival used five venues and this will be extended to seven for the next edition. This festival allows photographers who have been unable to display their work on a large scale to show their work to its best advantage. 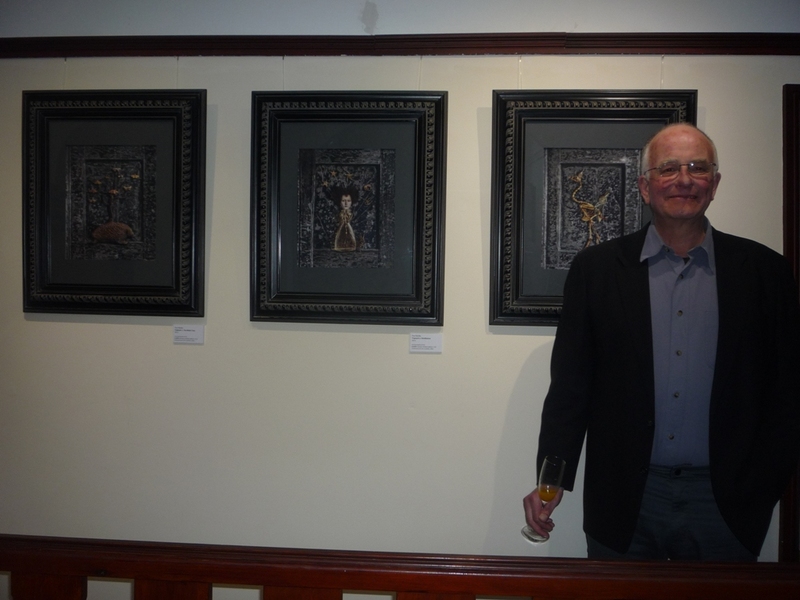 Paul Biddle from Devon is the only Brit amongst the quartet to have his work on display at Dimbola. His inspiration and influences range from Renaissance Art to Dadaism and surrealism. His portfolio is subtitled ’Cabinets of Curiosity and Rooms of Wonder’. On his first visit to the Island Paul was enjoying exploring the local sights, aided by his wife who had visited the Island before. He thought the Island’s coastline in West Wight was inspiring. Three American photographers also have their work in this exhibition. Jonah Calinawan from Baltimore is an accountant turned artist. He bought his first camera in 2002 and utilises Collaged Cyanotype prints with digital drawings. Tami Bone spent her childhood in deep South Texas and now lives in Austin. She uses photography as a means of story -telling and self expression. 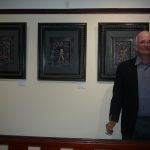 Tami employs Pigment Prints on Fibre Based Paper and has exhibited at the West Midlands Festival as has Paul. Fran Forman who works in mixed media is heavily influenced by the Pictorialists. Her images are constructed tableaux and mythical narrative emanating from dreamscapes. Fran teaches digital collage at various colleges in Boston USA.